Just want the shoe? Not a problem. Feel free to call us toll free at 888.477.0282 and we’ll sell you the shoe without customization and ship it right to your door. Triple-strap sandal in a variety of materials with fully adjustable straps and shock-absorbing EVA sole. 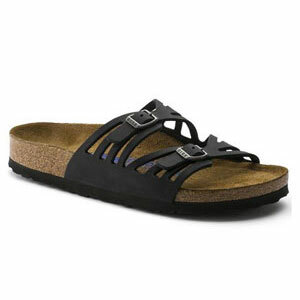 Features Birkenstocks classic suede-lined cork/latex footbed customized to your foot. Upper material: Leather Birkenstock use thick yet supple leathers without additional dyes to keep the leather breathable, durable and comfortable. 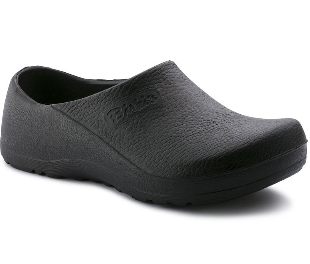 Footbed: The original Birkenstock footbed – Featuring pronounced arch support, a deep heel cup and a roomy toe box. Covered with a suede liner. The footbed molds and shapes to your foot. Sole material: EVA – Flexible, durable, lightweight, shock resisting soling material.